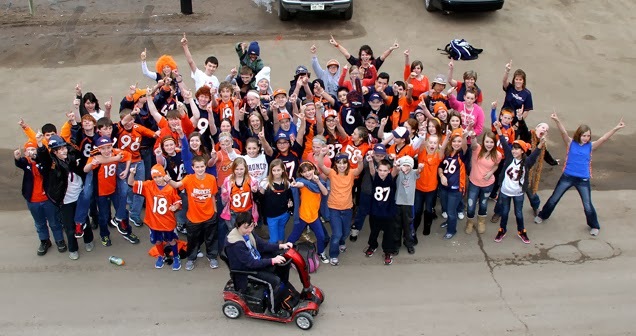 The Badger Middle School got together today to show their Bronco Pride! Who is ready for some Super Bowl XLVII Action? And what are your predictions?